PARIS – Two Arab candidates and France’s former culture minister vied to become the new head of the UN’s embattled culture and education agency on Friday, a day after the US quit the body, accusing it of anti-Israel bias. Netanyahu: Israel Prepping to Withdraw from UNESCO Alongside U.S. The United States announced Thursday it is pulling out of the U.N.’s educational, scientific and cultural agency because of what Washington sees as its anti-Israel bias and a need for “fundamental reform” in the agency. 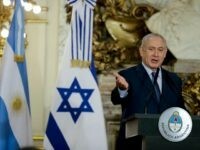 Israeli Prime Minister Benjamin Netanyahu said Israel plans to follow suit. 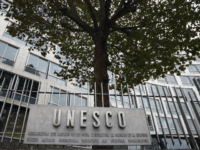 PARIS — UNESCO’s executive board is choosing a new leader to replace departing director Irina Bokova, whose tenure was marred by funding troubles and tension over its inclusion of Palestine as a member. 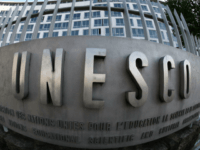 UNESCO Director-General Irina Bokova has rebuffed attempts by the UN cultural body to deny a historic Jewish connection to Jerusalem. 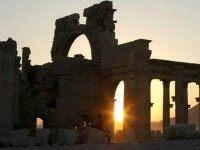 Representatives of around 40 countries on Saturday approved plans to establish a fund to protect heritage sites in war zones and a network of safe havens for endangered artworks. Israel’s Ambassador to UNESCO, Carmel Shama Hacohen, along with Shahar Azani, StandWithUs’ Northeast Executive Director and Yifa Segal, Director of the International Legal Forum (ILF) on Tuesday officially submitted a petition to UNESCO’s Director General, Irina Bokova. 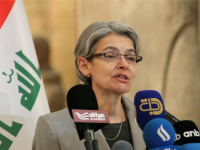 TEL AVIV – UNESCO chief Irina Bokova has received “death threats” after criticizing an Arab-backed resolution denying Jewish history in Jerusalem, Israel’s ambassador to the UN organization said on Monday. The UN cultural body on Monday sought to calm anger over a resolution on a flashpoint Jerusalem holy site which saw Israel accuse it of seeking to “rewrite history”.